'Night of the Living Dead' consistently makes the grade on all of those best movies of all time lists. It's been archived in the US Library of Congress National Film Registry. Empire magazine, Total Film, the New York Times and Rolling Stone still place it amongst the highest echelons of classic films. Over fifty years after it was made, it's the internet's second most downloaded movie; and it's got a 96% positive rating on Rotten Tomatoes. I thought that I knew what it's about, having grown up with so many parodies and references to it. I was so wrong. Where were the cliches? Where were the tropes? Why aren't the stereotypical victims being the ones killed outright? I thought that I'd seen Night of the Living Dead. I spent my entire childhood watching horror movies and this was made before I was born. It turned out that I hadn't. But did that really matter? It was the movie which launched a million imitators. Ever since George A. Romero unleashed his director's vision into the genre, we've have zombies lurching in hordes, ready to feast upon the living. Do your best impression of a zombie and you're probably still following Romero's direction. He set the standard. For that reason, I somehow thought that having seen later zombie films, and parodies of the same, I'd gleaned all there was to know about the original. I have never been more wrong in my life about a movie. Hands up. I admit that. I kept waiting for the tropes to play out and the cliches to arrive. They didn't. All of the imitations somehow took the ideas into tame channels. Night of the Living Dead - both original and THE original. They weren't even zombies! That's a term which generations of movie watchers and film critics have retrospectively applied; though in fairness, all the boxes are ticked. They are called 'ghouls' by the characters and the living dead in the title. The working title referred to them as flesh eaters. The reason that I've come out of its viewing feeling a little dazed is that the plot did nothing that I was expecting it to do. It's made me realize just how formulaic horror movies have become, because this really was something different that would probably still startle if it was released now. I have no reservations whatsoever about recommending it, despite some dodgy ham acting in some of the roles. 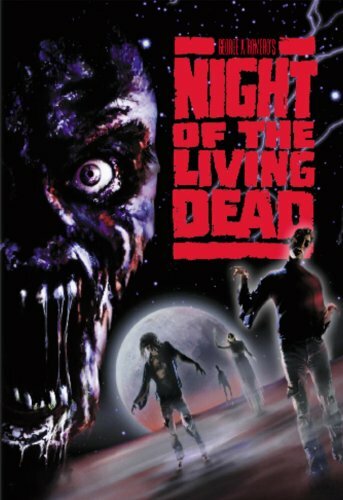 Night of the Living Dead is possibly not the film that you think it is from the hype. Even the trailer makes it look over-dramatic and crap. I recognize the scenes, but the way the trailer is edited doesn't reflect the movie that I just watched. 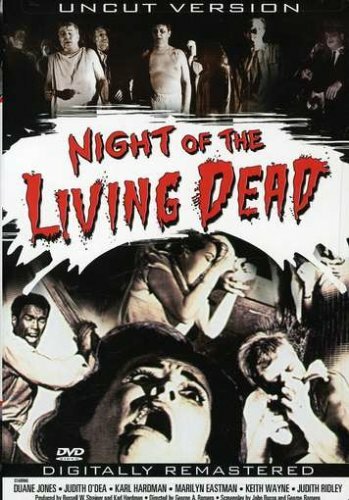 What is Night of the Living Dead About? Rampant capitalism repressing counter-cultures and fear of the Atomic Age. Though that's probably not explicit. Barbra and Johnny are siblings who have traveled for six hours to lay a wreath on their father's grave. An odd man is slowly walking across the graveyard towards them. Unknown to them, NASA have just exploded a space probe, which had encircled the planet Venus. It had entered Earth's atmosphere with an unusually high level of radiation. Destroying it was an error. It turns out that the chemicals released reactivated the dead; and now they want to feast on human flesh. Much of the rest of the movie follows the fortunes of people barricaded inside a rural farmhouse, while the living dead lurch and prowl outside. They have radio and television reports to alert them to the fact that this is happening all over Pennsylvania, and spreading out across the USA. But the flesh eaters outside are just the backdrop and the catalyst for strangers forced to work together. For me, the real story is how those human beings react in extremity. All shades of psychology are exhibited, from calm resourcefulness to fury, cowardice and insanity. The real monsters aren't entirely those battering at the window boards. The Leading Male Character was Black! When fellow Wizzley author MuminBusiness wrote her guide to surviving horror movies, she had one big top tip - DO NOT BE BLACK! It's one of those cringe-worthy facts about this genre that if any black person turns up, then they will be amongst the first victims. They pretty much only exist in the first place, so that the movie-maker can claim a tick in an equal opportunities box. So when I saw Ben (played by Duane Jones) enter the house, I immediately had him ear-marked as Victim Number One. There was a pretty white woman there, so it was never going to be her. But Ben survived. And went on surviving. It took me nearly half of the movie to realize that yes! He was the protagonist! The primary male role was a black man, in 1960s America! It wasn't even alluded to in the script! I was very, very impressed. Particularly as he was the resourceful, brave and calm one! DVD version with great reviews and lots of bonus goodies! The representation of women is measured by this low standard. This movie demonstrates just how low that bar has been set. The Bechdel Test calls for more than one named female character. They have to have a conversation about something other than the male characters. We get one and a half. The scene which grabbed that Bechdel pass came when Judy arrived to give Helen a break, as the latter nursed her injured daughter. They briefly discussed young Karen's health; and Judy reassured Helen that she'd be fine. In fact, there was an earlier exchange, which might have scored a pass on the test too. Helen was trying to make Karen comfortable and talking in general terms. Her daughter groaned that she was too hot. But the 'half' conversation came when Helen sat with Barbra. Helen chatted away, trying to win Barbra's trust, but the discussion was one-sided. Barbra was too deeply in shock (or slipping into insanity) for much to be verbally reciprocal. But if we count body language, then communication was achieved. However none of this means that Night of the Living Dead is a trail-blazing Feminist movie flagship. It serves as an excellent example of the limitations of the Bechdel Test. None of the female characters are particularly great as role models. Judy simpers and looks lovely, then is so useless that she causes a tragic situation. Barbra goes to pieces from the outset. Helen is slightly better, but her main roles are A Mother and A Wife. While little Karen is comatose for most of the story. At one point, the men are discussing their escape plan, which is shouted down by Harry. His reason for dismissing it was (I kid you not), "How could we possibly get out of here? We have a sick child, two women and a woman out of her head!" 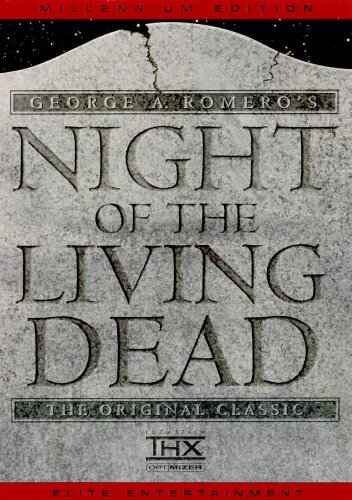 The portrayal of women in Night of the Living Dead drew so much criticism by Feminists, that Romero eventually re-made the movie. He handed over the directorship to Tom Savini, but was instrumental in guiding that direction. Barbra was totally rewritten to become a strong female lead. I've not seen it, but apparently it's better from a female representation point of view. It would be difficult to make it worse! Nevertheless, the original Night of the Living Dead did pass the Bechdel Test. It was a most unexpected movie. Watching this is what spurred me on to seeing the others in the series; but, as you say, they go downhill. I haven't seen 'Season of the Witch'. I'll check it out. And how lovely to see you in these parts again! This is one of my favourite films. Like you, I came to it expecting more of a shockfest, and was struck by something both thought-provoking and original. Romero's zombie movies go into something of a downturn from this point, but this one is amazing. I want to watch it again, and assess the female roles having read your comments on it. Have you seen Romero's "Season of the Witch"? Not the most pagan-friendly film, but there are interesting politics to it that aren't all misogynist Christian shouting - and a fascinating opening sequence. It's amazing, isn't it? It's like the further beyond Women's Lib we go, the more Hollywood gets scared. 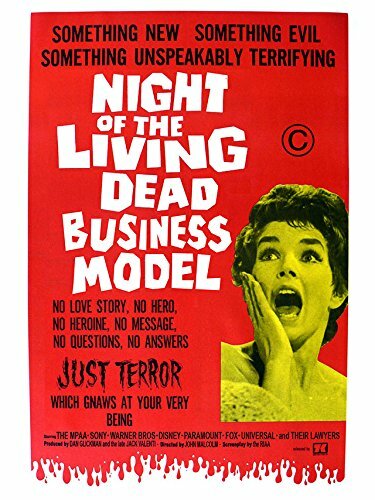 But for all that, Night of the Living Dead was by no means a Feminist movie. It just passed the Bechdel Test is all. who would have thought a film from 44 years ago would do better at the bechdel test than most majority of modern films?